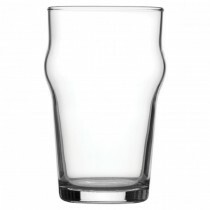 One of the two most traditional and iconic beer glass shapes of all, the Nonic beer glass is a classic in the hospitality industry. 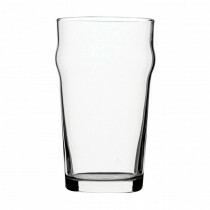 This generic shape boasts universal appeal and provides a versatile serve for numerous beers, ciders, lagers, ales and more. Made from Fully Toughened glass, the Nonic is a cost effective and durable choice. Fully Toughened glassware has been strengthened across its entire body making the glass resistant to impact damage at all points.